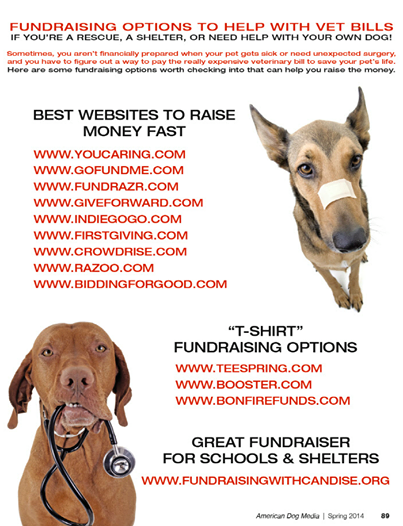 Raise your hand if your looking for financial help with your pets care. 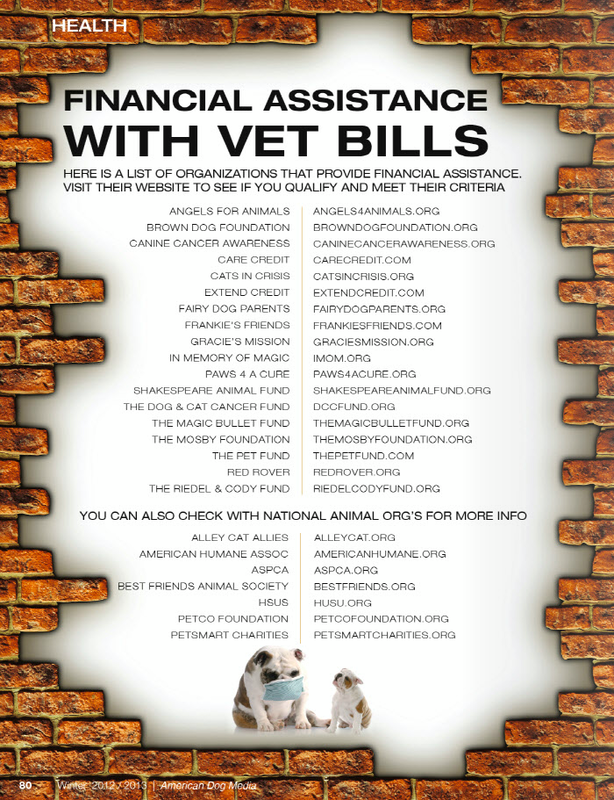 Thanks to our friends over at American Dog Magazine we are able to provide you with a list of financial assistant programs and fundraising options you have to help you with your pets needs. Of course these measures are needed when it's down to the wire. We suggest prior to any emergency you put aside a credit card just for your pets emergency care. 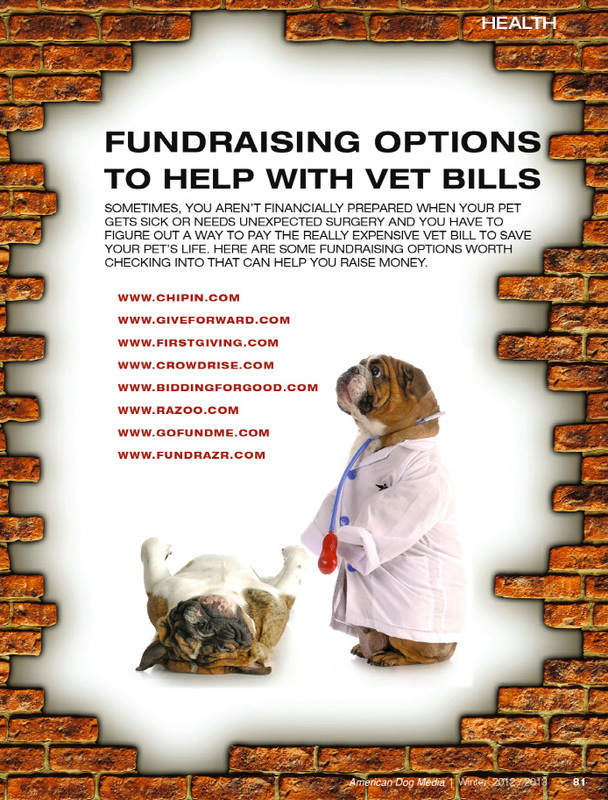 Or purchase Pet Health Insurance or open a Pet Savings Account. The decisions we need to make at the time of an emergency are difficult enough without having to worry about fiances.